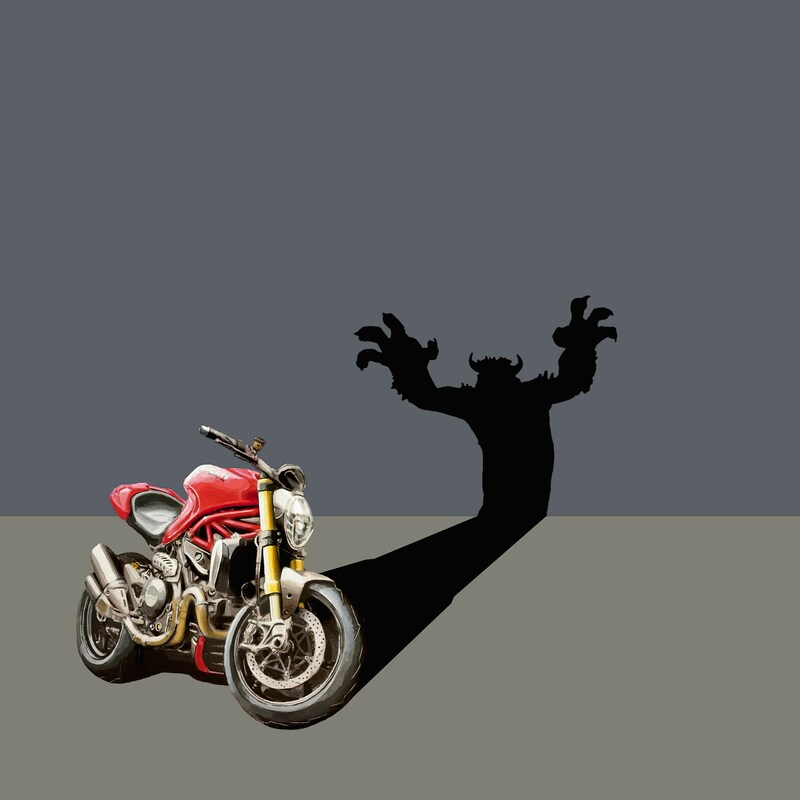 The original Acrylic-on-Canvas painting of this Ducati Monster highlights the personality of the bike known to those who own one. 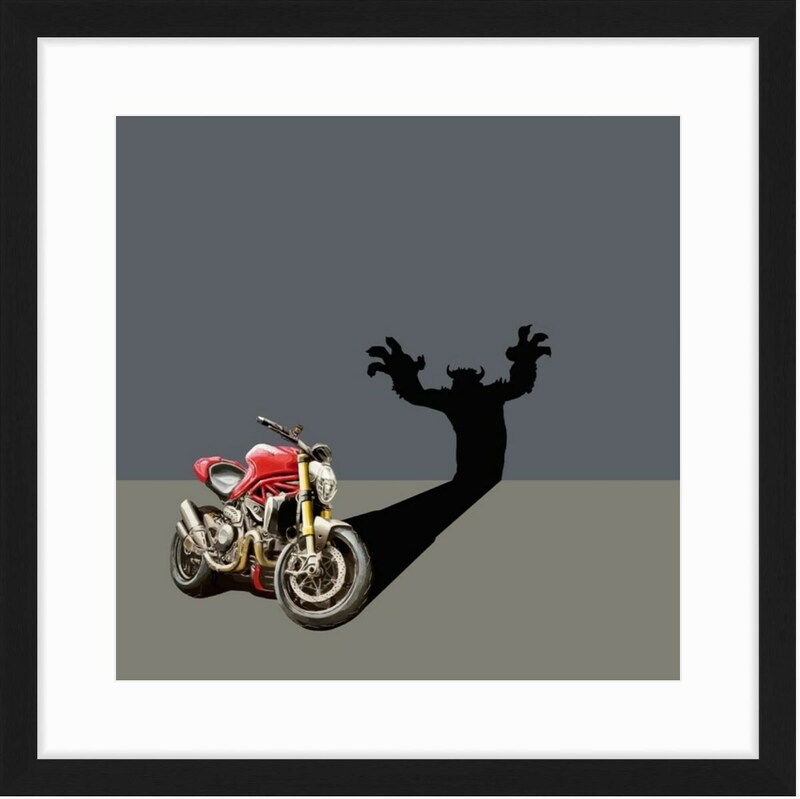 Performance and real-world capabilities of modern motocycles often overshadow their cheerful and lively personalities. 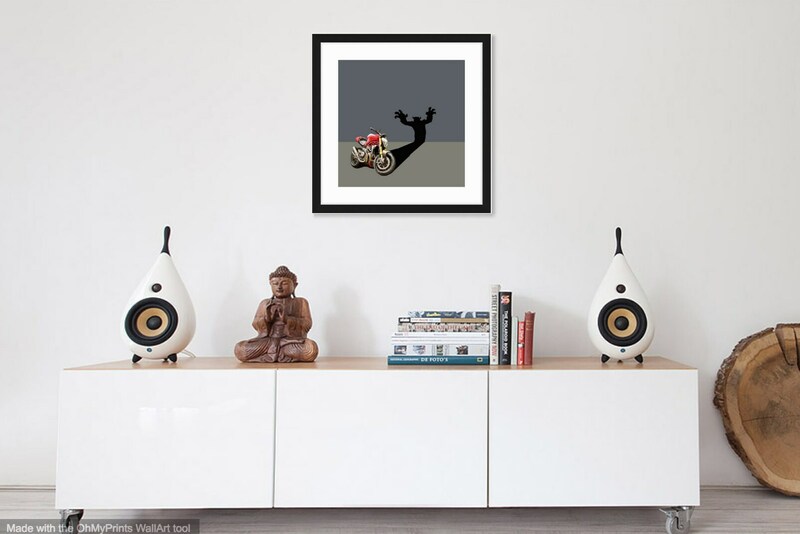 In this series, the artist wanted to capture the fun side of owning and riding a Ducati. Each hand-signed Giclee canvas print is individually produced by the artist utilizing professional imaging technologies and methods. As a result of meticulous standards, the Giclee retains a beautiful painterly quality that preserves minute and subtle tints, blends and detail of the artist's original painting. The meticulous reproduction process and the use of archival pigments and museum-quality canvas produce a stunning piece that could easily be mistaken for an original (and are estimated to last 400+ years). 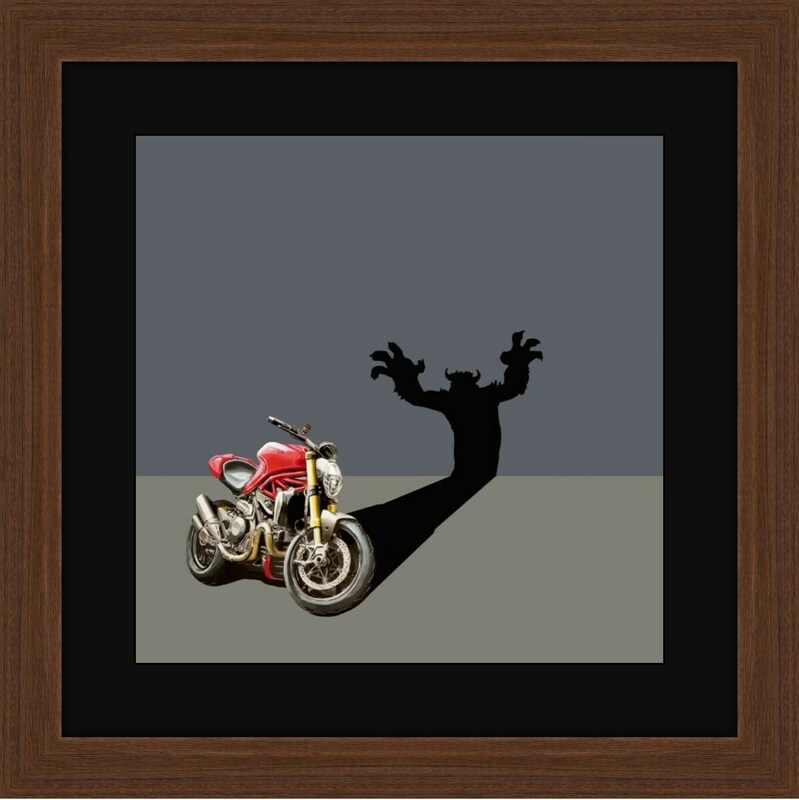 Canvas prints can be mounted, stretched or framed upon arrival. Available in Red and Grey.